...and this Santa Card fits the bill. 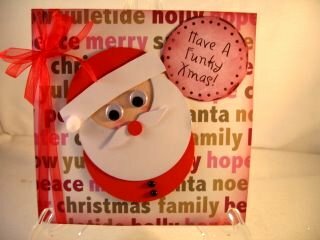 Get ready for the Christmas Season with this lovely Santa Card. Get out your punches for this jolly card. 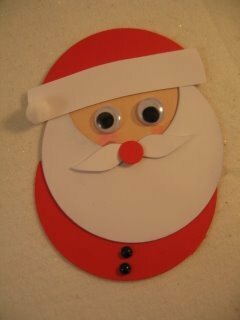 You will need some red, white and pink card, a christmassy themed paper, some Googly Eyes and a white PomPom for his hat. Punch out two white circles, one pink circle and one red one. 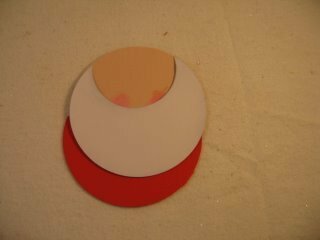 From one of the white circle cut out an oval shape to represent the beard. From the other white circle you will need a strip for the hat band. Choose the strip from the widest centre part of the circle. The red circle needs a smaller top part for the hat and the rest for the body. Add the pink circle to the larger part of the red card, and place the white beard where you want it. Before you glue it down add some pink cheeks with a coloured pen, or some chalk and a cotton wool bud. Now glue in place the smaller red part of the hat and fix the white hat band on top. Add the PomPom at the end of the hat band. 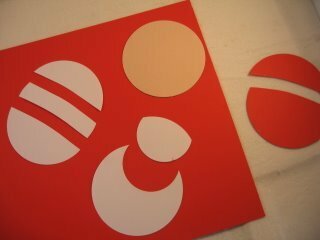 Fix the Googly eyes in place and from some of the white card cut two shapes for the moustache. Punch out a small red circle for the nose. I have added small pearls for the buttons and he is now ready to grace your card. Fix your chosen paper to the base card and add the topper you have just created. 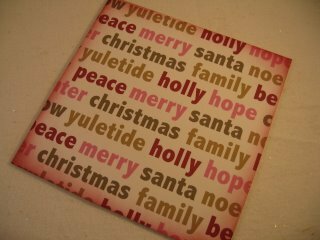 And there you have a very easy but effective Santa Card to send to some one you love. For safety though do not give it to a young child as the PomPom could come off in their mouth. Have fun with this and some of the others in the Novelty Cards section.